Another phone from Micromax in the Bolt series is now available for purchase from online retailer Snapdeal. 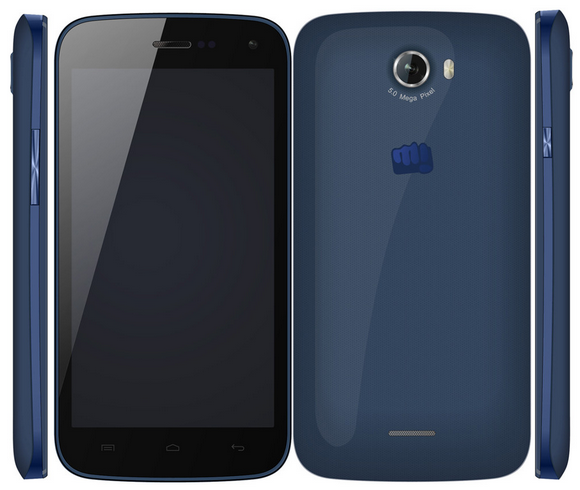 The new entrant, Micromax Bolt A68 bears budget phone specifications and has been priced at Rs. 7,108. Micromax Bolt A68 features a 5 inch display with unspecified resolution and is powered by 1 GHz dual core processor. MicroSD support is also present for up to 32 GB but other details regarding the chipset are not available yet. Micromax Bolt A68 runs on Android 4.2 jelly bean operating system, which we have seen on most new entrants in the market and will provide you with rich Android experience. The phone also supports Dual SIM functionality like most other phones in Bolt series. Camera hardware includes a 5 MP shooter at the back with LED flash support for low light photograph and a VGA front facing camera for video recording.The battery capacity is 2000 mAh which will provide you with 7 hours of talk time and 230 hours of standby time. Other connectivity features include 3G, Wi-Fi, Bluetooth and GPS.